Tonight, I led a rather early adjournment debate on motorcycle rider licensing, where the EU has added to the joy of motorcyling, the dreariness, aggravation and expense of capricious bureaucracy. I was grateful to Norman Baker for answering the debate in the place of Mike Penning, who has just moved to the Northern Ireland office, after stoically defending riders rights and liberties as Roads Minister. 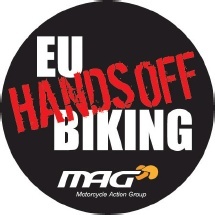 Licensing is not the first battle that bikers have had to fight against the EU. So-called ‘anti-tampering’ legislation was ill-thought-through, lacking evidence and just the sort of dull grinding oppression we have come to expect from the nanny state. Progress there has been made before legislation, partly thanks to MAG’s EU Hands Off Biking campaign, but licensing is farther advanced. Our best hope is better implementation and I am grateful that the Government confirmed a commitment to a single part test. There was a time when the EU at least pretended to uphold the principle of subsidiarity, which was originally explained as decisions being taken at the lowest practicable level. If that had not long ago been exposed as a sham, the heavy-handed mistreatment of bikers in relation to both ‘anti-tampering’ and licensing would prove, yet again, that the doctrine is nothing more than a cynical ruse to distract us from the reality of ruthlessly centralised power over comparatively minor matters, matters which often become mere bargaining chips in protracted negotiations over this bureaucratic matter or that. Fighting pan-European, nagging regulation of minutiae is taking up far too much of our time, time which could be spent doing something productive or enjoying ourselves. There was little wrong with the pursuit test I took 24 years ago (this month, I think). Yet here we are. For progress towards a lasting solution, I recommend signing up to The People’s Pledge for a referendum on our membership of the EU, notwithstanding the neutrality of the riders’ groups on that question.